It almost feels like a disservice trying to summarize these three books in a few paragraphs because of the detail covering everything from daily life of individuals, to the movement of military units, to the grand plans of the Nazi leadership. This includes diaries and reports from everyone, soldiers, Jews, civilians, doctors, and many from the SS. It deals with differing scales of information quite deftly, starting from journals of individuals, to internal reports about the state of society and politics, and all the way up to the quantity of armaments produced in Germany and by the Allies. The first book, 'The Coming of the Third Reich,' discusses the history and social climate of Germany in the lead up to the Nazi Party taking power. There are some very interesting highlights, including the amount of anti-semitism already in existence in Europe, the degree to with German politics invaded daily life, and the amount of unrest after World War I. It follows Hitler and the Nazi party as they attempt to grab power in Germany. Overall, it seems to achieve the goal of producing an understanding of exactly how Germany started down the path of National Socialism. The second book, 'The Third Reich in Power,' is a well laid out, in-depth analysis of the Nazi party at work. Richard J. Evans pieces together a great variety of information into an all encompassing view of the Nazi government. Which is a feat, considering how scattered and competitive all the separate pieces of the government were. It definitely breaks any mythology that the Nazi party was a unified block with a set goal. They seemed to be constantly at odds, with Hitler being the tie breaker. It becomes more clear how Adolf Hitler became all but a god in the Nazi German state, and realized the brutal 'Final Solution' he had been promising from the beginning. The third book, 'The Third Reich at War,' brutally illustrates the atrocities committed by the Nazis and their reasoning behind their actions. All the books cover the increasing brutality of German society, but in the years during the war it truly reaches a peak of cruelty and mass extermination. There was always a need for forced labor, and eventually the plan was ghettoization of Jews, communists, and anyone who became an enemy of the Nazi party, but as the war seemed more desperate, the propaganda machine of the Nazi party grew louder and more brutal. 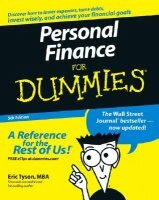 The whole series is incredibly comprehensive and easy to read. It follows a fairly clear time line, and usually starts from the point of view of various individuals to an overall view of the German state. Anyone who is interested in World War II would probably enjoy it. But it is necessary to point out that the series revolves around Germany completely, and although the Allies are mentioned it is only when necessary in relation to the state or activities of Germany itself. 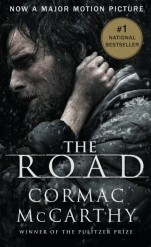 As a side note, I just finished reading Cormack McCarthy's 'The Road' directly before reading the last book in this series. The effect of that sequence was profound, especially given that one of reviews of 'The Road,' and not the only one revealing similar sentiments, described it as 'emotionally abusive.' However, in the context of 'The Third Reich at War' the violence and inhumanity in 'The Road' pales in comparison. The death toll is higher, but the sheer inhumane cruelty described in vivid accounts in 'The Third Reich at War' is unbelievable. Even the suicide rate amongst SS officers shows that even the most committed Nazis had severe difficulty in carrying out orders to murder infants by starvation or beating them to death. Everything that happens in 'The Road' happened in Nazi Germany tens, if not thousands, or times over. It is a stark comparison, I think any author would be hard pressed to write something as unbelievably horrible as the history of the Nazi party. The Road is a detailed account of the struggles a father and son endure while trying to survive a world wide catastrophe. The book, like most of McCarthy's books, has enough descriptive detail to make every description vivid, but not overbearing and boring. It also deftly handles the running themes in McCarthy's books of death, determinism, fate and hope. Usually that hope is crushed by one of former themes, and I may be mistaken in calling it fate, in my subjective opinion, all his books revolve around a hard determinism that pulls the characters in inevitable directions, yet is not fatalistic. Overall, it almost deserve two readings. The first time for the plot, which is fairly short, but there is enough drama and action to push the story forward in a way that outpaces the descriptive elements. So, it is almost worth a second reading just to fully absorb McCarthy's ability to beautifully illustrate a scene, even a terrible one, with great skill. In my regular blog, I detailed how due to Stephenie Meyer and “Twilight” series is gracing the top of all the best seller lists, I had bought myself a dream journal. On her website she tells how she came up with the plot for the story from an intense dream she had one night. In fact, chapter 13 of her first book is basically a transcript of that dream. I’m fairly sure I’m among a large segment of the population who forgets their dreams within moments of waking up. So, what best sellers have I been missing out on? I mean SERIOUSLY. Coming up with story ideas is my biggest problem. Do you realize how hard it is to write without having a plot or an original story idea? I know, I know – Nicholas Sparks makes it look easy but still. And unlike the dream journal, I don’t think I’m going to start taking long road trips in the desert just so I can try to come up with a good story too. This one was good. I don’t think that it has as compelling characters as Twilight (which has caused a lot of the adults to overlook some of the writing), but if you like Meyer’s other books and you’re willing to make it through the first several chapters (which are a real snoozefest) it gets pretty good. Halfway through I found myself caught up enough in the characters that I had trouble stopping until I was finished. I’m not saying it’s classic literature or that Meyer’s pen is obviously guided by angels. But it made me happy reading it. I do love Stephenie Meyer – not just as an author but as a friend. She’s really awesome and has always been incredibly fantastic to her fans. I’ve had so many teenage girls who have written her and been astounded when she wrote back. She can’t keep up with that now, but she has always been so kind to all her fans. That’s what makes me love an author – almost as much as what and how they write. Because I love my customers and so it makes me happy when an author loves them too. Thus, I will always defend her and her books – sparkling vampires or not. Also, if you’re still reading this – I’m having a Breaking Dawn midnight release party and it’s going to be seriously awesome. You should totally come. Shortly after I read Marr’s first book a friend commented about what a shame it was that one was getting all the shelf space in large bookstores and so lauded when Cassandra Clare’s City of Ashes series was being overlooked. My first chapter into Clare’s work and I immediately agreed with my friend. It’s a fantastic story with compelling characters who are funny (so funny at times) and without the forced “I’m cool! Teenagers please love me!” feel that Marr (and Holly Black’s) books give off. However, by the very end I was beginning to waver because of a huge plot turn (that I can’t even allude to without spoiling it) which is also explored more in the second book. And let me tell you it’s a big EW factor. It actually left me feeling pretty disgusted by the end of the first book, but since I was able to immediately read the second (the third hasn’t been published yet) those feelings were assuaged slightly. I think it’s going to turn out be a big hoax but still EW. But even with the Ew factor, Clare’s books are still much better. Victory is to Clare – Knockout! Plus it is a really good overview of things I always hear about but I don’t know exactly what they are. You know annuities and whatnots. I keep trying to get Ben to read this one too because I think it has a lot of information that *all* adults should know — whether they’re ready to implement them or not.